Various Bitcoin companies and startups have received significant amounts of funding over the past few years. This seems only normal, as the technology and protocol making up the Bitcoin network can be of great value to people and companies all over the world. Abra is one of the companies seeing a lot of funds flowing in, even though they still don’t have a working prototype of their smartphone app. For some reason, they made it to the Angellist top startup list. When the concept of Abra was first brought to the attention, there was a general excitement for this particular smartphone application. Not only will users be able to store cash on their mobile device, but the app will also enable peer-to-peer cash transfers whenever needed. To make matters even more attractive, Abra uses Bitcoin as the reserve currency, removing any technological or financial entry barriers. For consumers, the Abra smartphone app will look like most other commercial offerings on mobile devices. Every user has a unique balance, which will be denominated in the fiat currency of their preference. Even though this balance is linked directly to the Bitcoin value, there is no mention of this term anywhere in the application. 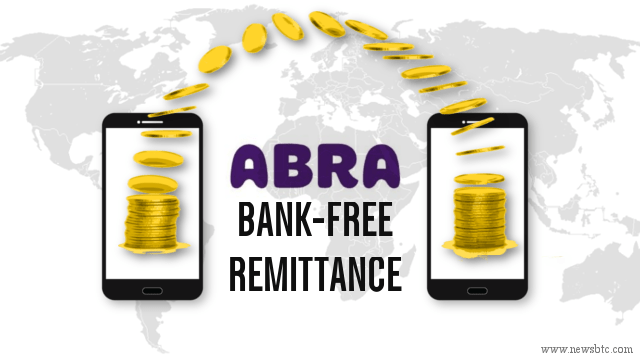 Not that it matters for the end user, as they will see Abra as a way to store cash on the go, by using their trusted mobile device. Moreover, everyone within the Abra “ecosystem” will make use of the same app, allowing for quick and convenient transactions between parties. But there is more to this concept, as physical currency has to become digital somehow. This is where Abra Tellers will come into the picture as these are verified individuals who will accept paper money and convert it to digital funds. While relying on third parties is not a proper way of using a system revolving around Bitcoin, it will help remove other entry barriers consumers might have. Plus, with a reputation system and liquidity management in place, the concept sounds rather solid. It goes without saying various investors felt the same way, and Abra managed to raise a total of US$12m in Series A funding during September of 2015. First Round Capital, RRE Ventures, and Arbor Ventures all see tremendous value in this project and put in a lot of money to see Abra succeed. But for some reason, there is still no prototype of this alleged smartphone application. That has not stopped Angellist from including the company in their yearly report, though. With such an impressive round of funding, Abra is one of the top companies listed on the platform. With so much money in their pocket, one would come to expect a tangible result somewhere down the line, but five months after the Series A funding, all remains quiet on the Abra front. Abra is just one of the many Bitcoin startups to rake in a lot of funding, but having very little to show for it. Granted, development of these projects take time and effort, but not a single shred of information since the end of September is quite strange. In fact, there has been no future press coverage of this startup either, simply due to the lack of information. Putting together such a versatile smartphone application with a team of just four people is a daunting task, though. It is impossible to tell whether or not the Series A Funding has been used to hire additional employees, as there is no further information posted on their Angellist page. Looking at the Abra Twitter feed, some interesting things seem to have taken place. Various presentations about the project can be seen on their timeline, as well as a mention of how Abra received a shout out as an innovative Fintech example last month. Last but not least, the startup has been nominated as a finalist for Innovation project 2016’s Innovator Awards in the “Best Cash Innovation” segment. Quite an honor, but also strange because Abra has no working product yet. Unless there is something none of us are aware of, the Abra team will need start communicating more with the public.